Fresh off their win against England, Williamson’s men take on unbeaten Australia. New Zealand would look to seal their place in the final of the Trans-Tasman tri-series when they take on Australia for the 5th Twenty20 International of the tri-nation T20 series in Auckland. The hosts defeated England by 12 runs in the fourth game in Wellington on 13 February, thus registering their first win in the tournament since losing their series opener against Australia in Sydney on 3 February. A win over Australia on Friday would take them through to the final on 21 February and set up their clash with the same opponents at the same venue. The hosts gained some form in the previous match, with both batsmen and bowlers doing well in a close game against England. Captain Kane Williamson top-scored with a 65-ball 72 while opening batsman Martin Guptill made a 40-ball 68 to propel New Zealand's score to 196/5 in 20 overs. Debutant Mark Chapman also chipped in with a brisk cameo of 20 off just 13 balls. Mitchell Santner was the pick of the bowlers with two wickets, while giving away just 29 runs from his four overs. His spin-bowling partner Ish Sodhi and Trent Boult, the pacer, also picked up two wickets each. Tim Southee returned an economical 1/30 in his four overs. Australia have been unbeaten so far in the series. 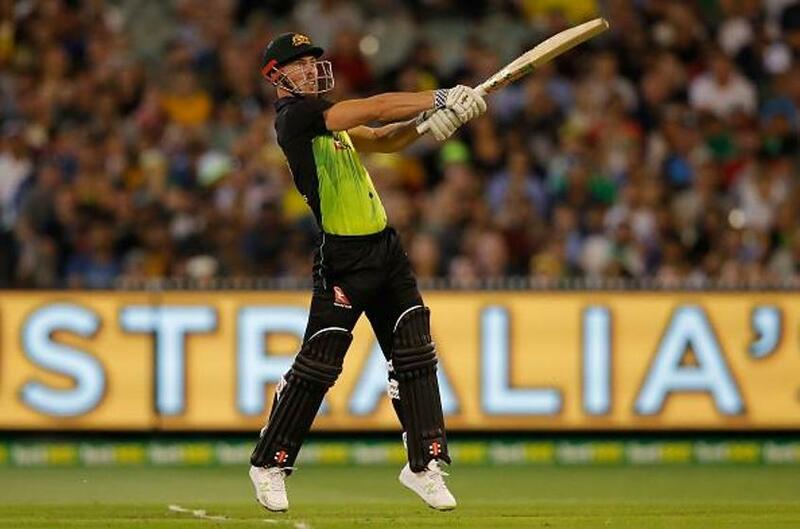 Four of their top five batsmen – D'Arcy Short, Chris Lynn, Glenn Maxwell and Aaron Finch – scored brisk thirties and twenties in their last outing against England in Melbourne to make a cakewalk of the 138-run target. Maxwell, in particular, has been in imperious form with both bat and ball, having scored a match-winning 103 and picked up 3/10 in the second game of the series in Hobart. Lynn has looked dangerous whenever he has come out to bat and Short remained unbeaten in Australia's last innings. The form of David Warner, who has scores of 6, 4 and 2, remains a cause for concern. Chris Lynn (Australia): Although Lynn hasn't been as explosive as Maxwell in the series, his presence at No.3 and his ability to strike right from ball one can be an asset for Australia. The right-handed batsman also makes up for Warner's loss of form and can turn things around quickly should Australia lose an early wicket. He has scores of 44, 0, and 31 in the three games of the series so far. More importantly, the knocks of 31 and 44 came at strike rates of 163 and 133 respectively. 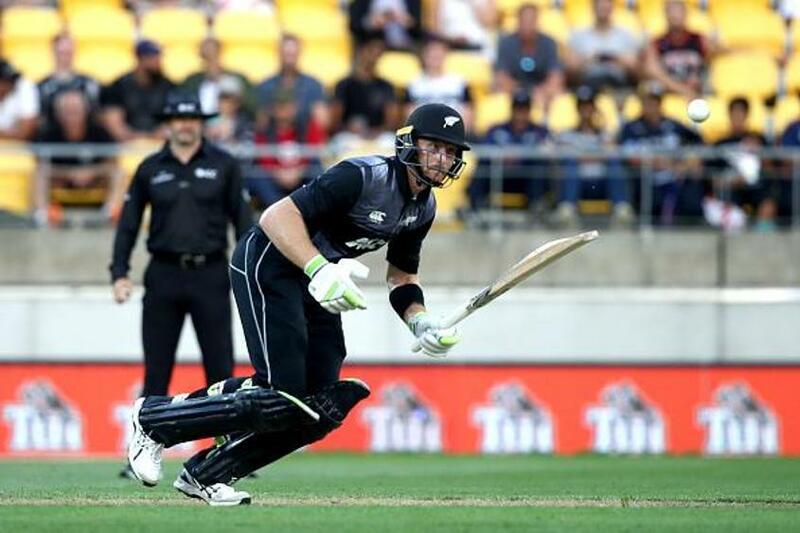 Martin Guptill (New Zealand): While Guptill's big-hitting prowess had been shadowed to some extent by Colin Munro's heroics in the recent white-ball games against Pakistan, Guptill rose to prominence once again in the game against England. His whirlwind knock of 68 off just 40 balls included six fours and three sixes. He forms an imperious opening combination with Munro and should any or both of them tee off, things could get difficult for Australia. Conditions: A temperature of 26 degree Celsius and humidity of 68% is expected on Friday. Conditions should be good for batting and with small boundary sizes, batsmen would be tempted to take more risks to clear the fence. The last T20I at this venue was on 25 January 2018 between New Zealand and Pakistan, in which Pakistan had notched up 201/4. Australia: David Warner (capt), Ashton Agar, Alex Carey, Ben Dwarshuis, Travis Head, Chris Lynn, Glenn Maxwell, Kane Richardson, D'Arcy Short, Billy Stanlake, Marcus Stoinis, Andrew Tye, Adam Zampa. New Zealand: Kane Williamson (capt), Trent Boult, Mark Chapman, Colin de Grandhomme, Martin Guptill, Anaru Kitchen, Colin Munro, Mitchell Santner, Ish Sodhi, Tim Southee, Tim Seifert, Ross Taylor, Ben Wheeler.